The gunners made a visit to the Old Trafford on Sunday and were defeated but returned back to London with players like Alex Iwobi and Mkhitaryan injured. 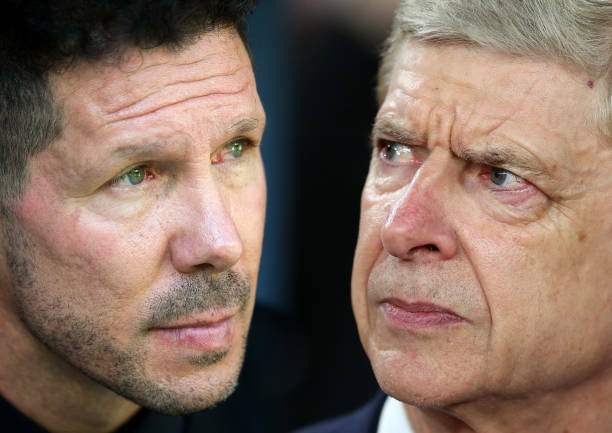 The gunners will be playing against Atletico Madrid on Thursday as they hope to defeat the Spanish giants to progress to the UEFA Europa League finals of this season. Arsenal were welcomed at the Old Trafford stadium on Sunday and left with a defeat with some players like Alex Iwobi also obtaining injuries from there, the manager confirmed after the match that Iwobi, Mkhitaryan and Ospina had sustained or showed signs of injuries and were not yet ruled out of the visit to Madrid city but said that they will be closely monitored in the coming 48 hours. Alex Iwobi finished the 90 minutes on Sunday but the manager said that the Nigerian international seems to have sustained a hamstring injury and he hasn’t issued at another statement since then but the midfielder has declared himself fit to the public saying that he is ready for Atletico Madrid. “I am still being assessed but to me it’s good and I will be okay. We will have to wait and see but I believe I will be okay for Atletico.” the young midfielder told Sky Sports. Alex Iwobi has faced a lot of criticism from the supporters this season who aren’t impressed with his performance these days because he is inconsistent so they will be urging the manager to bench him against Atletico Madrid on Thursday because it’s an important match where by all the hopes of Arsenal is!